Diminutive but distinguished TriBeCa restaurant offering an eclectic tasting menu by Danish chef Ronny Emborg. About the restaurant & décor: Everything at Atera, tucked into an unassuming office building, is sleek, intimate and pretty. 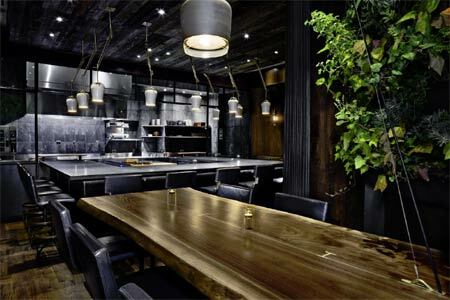 Thirteen soft leather countertop seats (stools, really) center around the open kitchen, where diners can watch cooks prepare the flurry of small, intricate dishes that await from a slate-colored, concrete bar. A single painting hangs on the wall, and fresh flowers add a pop of color to a room outfitted in shades of grey and wood paneling. The executive chef is Danish Ronny Emborg, who cooked for Queen Margrethe II of Denmark and at Marchal. He's also the author of The Wizard’s Cookbook. Atera is his first New York restaurant kitchen. Likes: Caviar with pistachio gelato; waffles with tuna and truffles; venison with huckleberry; desserts; warm but professional service. Dislikes: Reservations are scarce; bar stools get a bit uncomfortable after several hours. About the food: Atera puts on a dinner show two times per night (seatings are at 6 p.m. and 9:30 p.m.; lunch is available at 1:30 p.m. on Friday and Saturday). The restaurant nails the seasonal 18-course tasting menu ($285, service included), a two-and-a-half-hour progression of dishes that remains exciting and satisfying from start to finish. 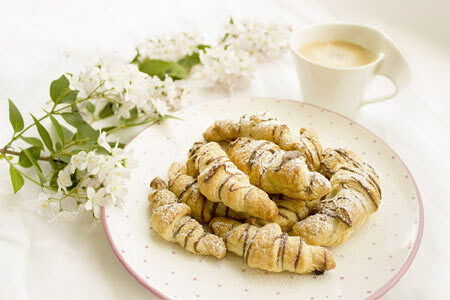 They’re creative without being fussy and abundant without being over-the-top. Of course, offerings change with the season, but if you are lucky you will receive a buttery, warm waffle straight from the waffle iron, topped with a pile of bluefin tuna and a shower of truffles. A bowl of Kaluga caviar with a scoop of pistachio gelato and a dollop of IPA cream might haunt your dreams. Sea urchin is sandwiched between crunchy chicken skin. It’s hard to maintain this level of spot-on, explosive flavor, but sweet lobster in a gentle red curry, crowned with a poached quail egg keeps the magic going, as does a not-at-all-gamey venison redolent of the autumnal flavors of pine, pear and huckleberry. Desserts are just as ingenious and tasty, from orange blossom mochi to bite-size sorghum and peanut pies, with a peach, raspberry and lemon sorbet. About the wine & drinks: A thoughtful wine list proposes many impressive bottles, and the wine pairing is a rewarding experience. In addition, a non-alcoholic Temperance pairing comprises juices, infusions and mocktails, and the Tea Progression is five teas served with the tasting menu.